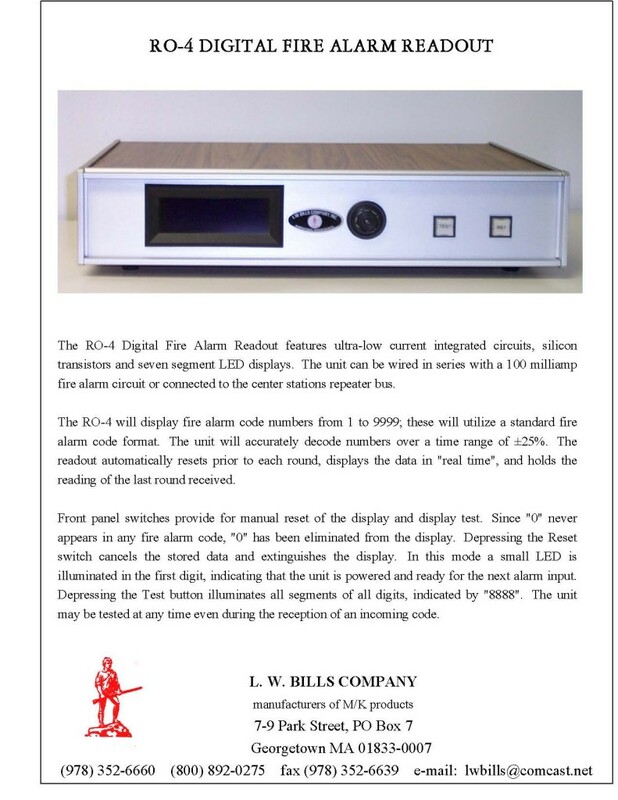 L. W. Bills Co. manufactures, distributes and services M/K Engineering products such as the RO-4 Digital Fire Alarm Readout, SSP4 Form 4 and the Mini- T2 Solid State Fire Alarm Transmitter. 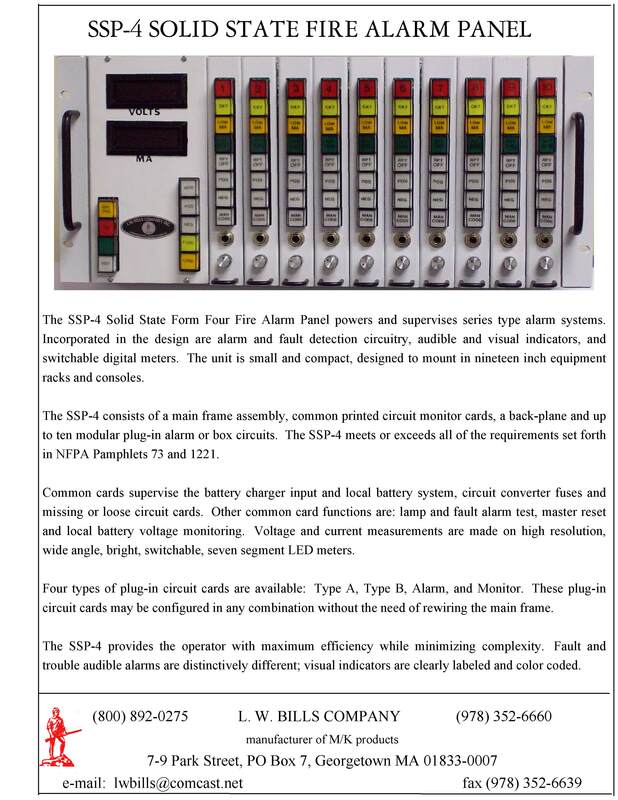 We have product in stock, ready to ship! Please see below for a complete description of each item.